BFTB Exclusive - Bob Brechin Q&A! - Page 5- BLOOD FOR THE BARON!!! Was it ever prototyped or generally considered to have greater articulation built into the series 1 range? Thanks for all your hard work on these toys. I would like to know why out of all the Z-Force team members why was Doc's age set at 45 on his filecard, making him the oldest member on the team.? Was Scout ever considered as a tank driver rather then a minesweeper? 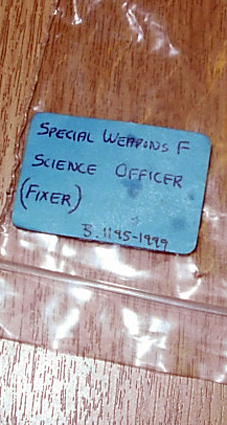 I hope I have'nt missed seeing it in this post but I would really like to know more about the Force that Dave Tree discovered. I can't find the pic but was wondering how to word this in a question as we don't know what they were going to be called? 001) Was there any choice in which US characters and vehicles were to be incorporated into the line or did Hasbro say you are going to use X mold etc.? 002) How were the colour schemes determined? 003) How much interaction did Palitoy have with Toltoys in Australia and New Zealand? 004) Did Dave Tree find all the Prototypes? 005) Did you have a military advisor or just do all the research yourself/with your team when designing the and ranges? 006) Did you have any Russian - or Georgian - speakers on your team, or were the characters used on vehicles completely random? 007) Similarly, who wrote the bios? And developed all the detailed schematics? 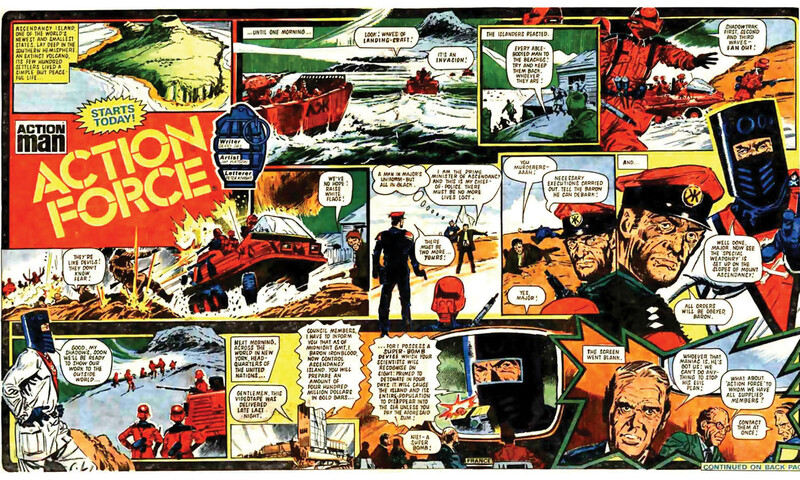 008) How much contact did you have with the writers and artists of Battle Action Force? 009) Would have eventually got a Soviet air cushion assault craft like in Operation Bloodhound? 010) Why were there no or helicopters like a Lynx or Chinook or Soviet Hind? 011) How influential were reference books like the Osprey series in helping you create characters? 012) Would it have been feasible to produce a Harrier and C130 and how much would it have cost on the shelf? 013) It is said that the brass mould of the Roboskull was based on your skull: what other gothic features of the Roboskull were inspired by yourself or others? 014) What other toys would you have produced if Palitoy had remained intact and created a fourth wave of vehicles? Did you have any plans? 016) Oh yeah and who built the motor in the tank? it could drag anything anywhere. 017) Which toy was your favourite? 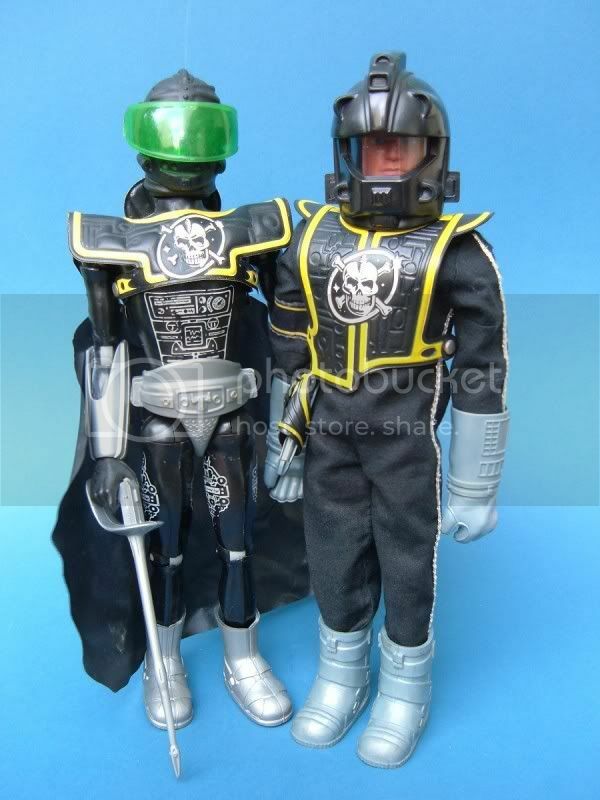 If the Roboskull, which was your second favourite toy? And which figure? 018) If the line was still going strong today without Hasbro's involvement what sort of things would you have liked to see in the line? 019) If Hasbro was involved which characters would you like to have seen incorporated into the AF line and which group would they go into? 020) With some AF figures turning up courtesy of the Cons and Figure Subscription Service is there one character that you would like to see done in a modern era style. 022) What is the skull in the Red Shadow logo from? Is it a Kraken? 023) Is there any truth to the rumour that Skeletron is a dead Kraken? 024) Were the Krakens sea monsters or aliens? 025) Is there any connection between the Red Shadows and the Action Man Zargonite range? 026) What happened to the cardboard Space Force playset in the 1983 Palitoy catalogue? Do you by any chance have the image templates, please? 027) What do the initials for Q Force and Z Force stand for? 028) Why is there a Star Wars Scout Walker hatch in the middle of the Sealion? 029) A few BFTB forum members swear that the Skeletron mailaway figure came with a bio that he was once an Action Force General, while other members swear it didn't happen. Could you shed any light on the rumour, please? 030) There is a variance in the 1983 figures that were sold in 1984. The hands are of a different mould with better grip, the plastic feels more rubbery and some of the colours are slightly paler. The most significant difference is the Red Shadow figure. The 1984 release has a slightly smaller head with a less pointed beak, and the paintjob for the eyeslits has none of the menace of the original. Was this a deliberate change or an accidental by-product of possibly using a second production facility? 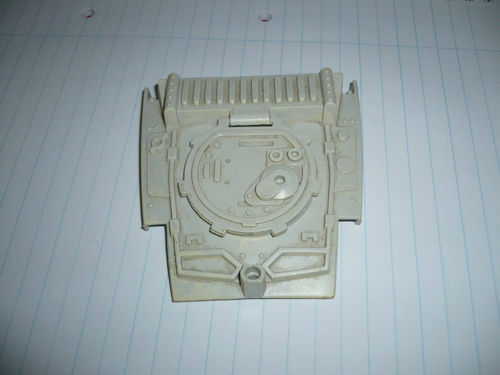 031) In the BFTB toys archive is a promotional Roboskull blueprint that differs from the one boxed with the toy. 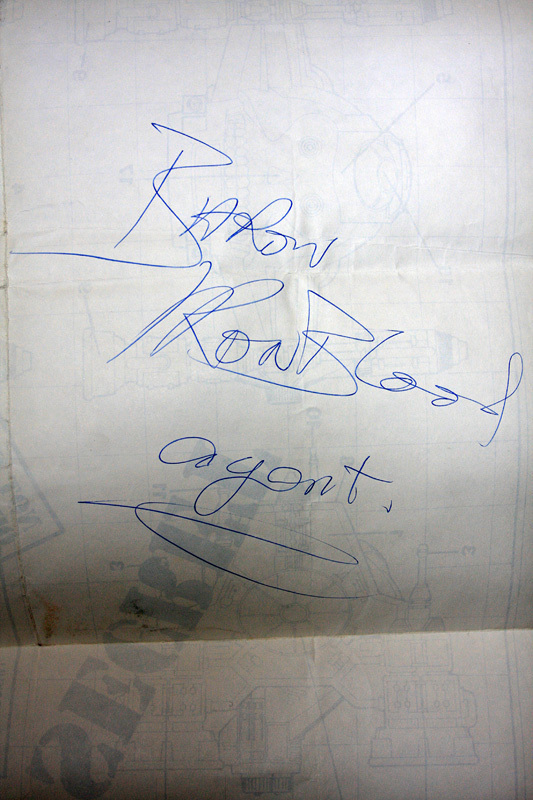 On the back is a handwritten signature for Baron Ironblood. Do you know anything about this piece and please could you share if so? 032) The Special Weapons prototypes have been source of joy for us at BFTB, especially your photographs of the initial design. 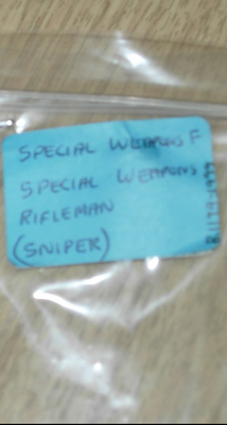 The vehicles all bear the logo SWS, but the repainted figures all came in bags labelled Special Weapons F. Speculation is that SWS stood for Special Weapons Service, while Special Weapons F was shorthand for Special Weapons Force. Please could you clarify this and shed any light on the change? 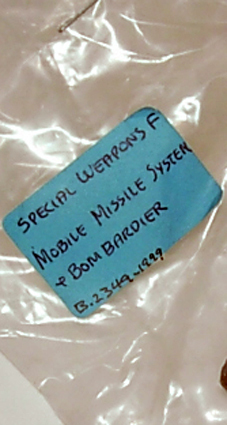 033) We would love to know more about the Special Weapons line. Why were they axed? 034) Were there any biographies for the five Special Weapons figures? Please could you give us as much information as you can remember! 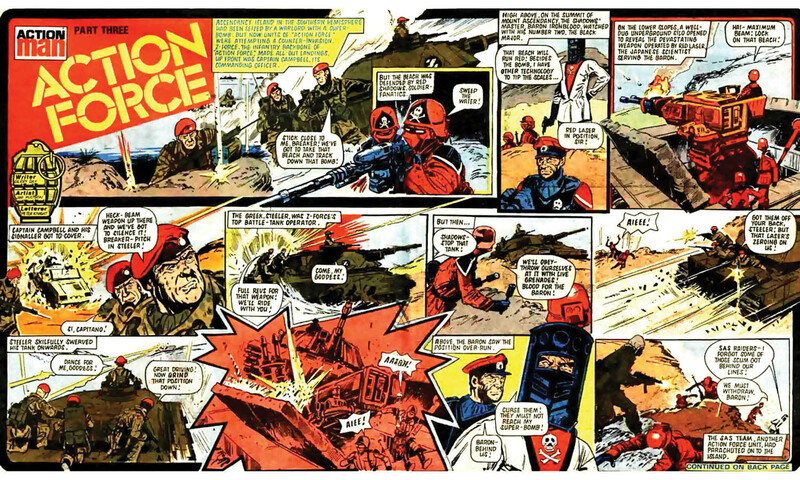 035) The 1984 Action Force TV adverts featured animations. Were there any plans to make an Action Force cartoon? 036) The first known example of the battle cry "Blood For The Baron!" is in the promotional mini-comics given away with Battle, Eagle and Tiger. Do you know who came up with it, please? 037) Which is your favourite Battle Action Force story and why? Do you have a favourite writer or artist? 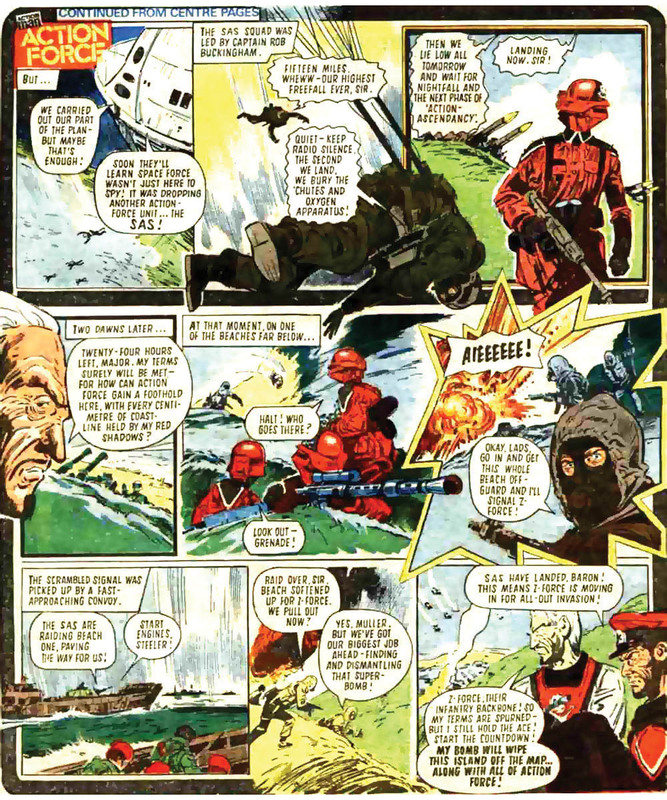 038) Were you involved with the 1983 and 1984 Red Shadow, SAS and Z Force characters reappearing in the 1985 era Battle Action Force comics? Was that a result of fan pressure or is there more to it than that? 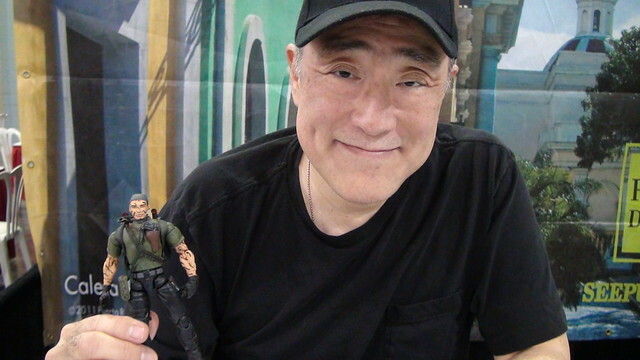 039) GI Joe comic writer Larry Hama has a figure based upon him; Tunnel Rat. 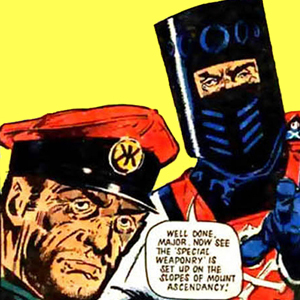 Do any of the Action Force characters have a connection with you? 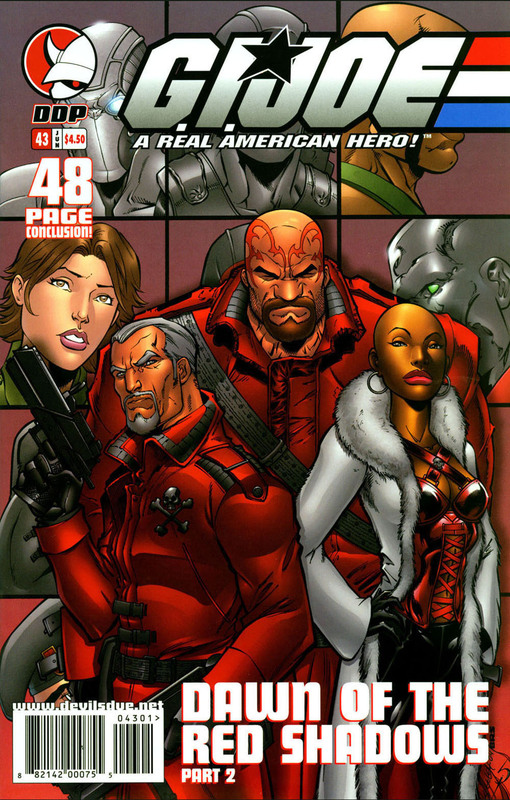 040) What is your opinion of the 2005 Red Shadows comic characters created by Devil's Due Publishing? 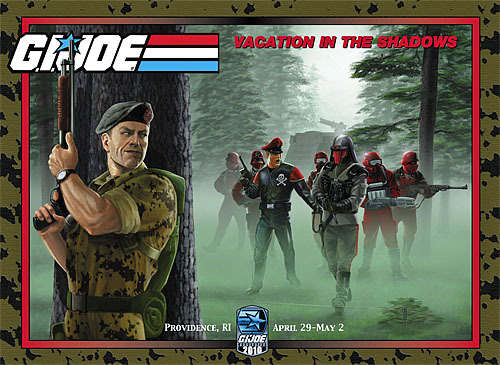 041) What is your opinion of the 2010 Red Shadows box set from the GI Joe Collectors Club? 042) How many people were involved with the concept, design and production of Action Force? 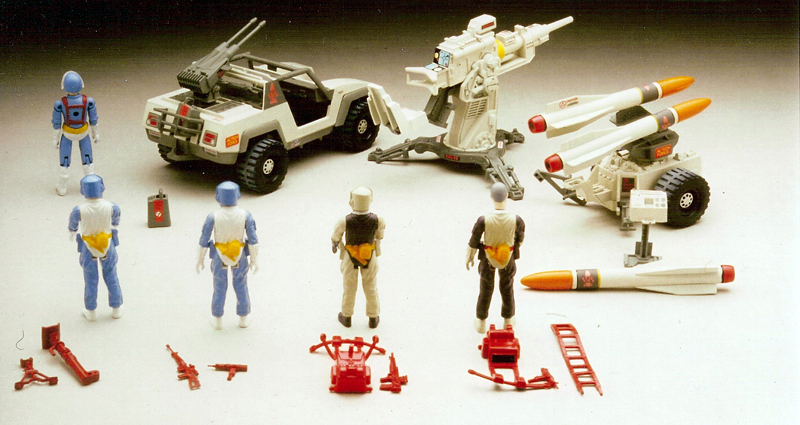 Please could you give us a quick breakdown of the Palitoy team structure? 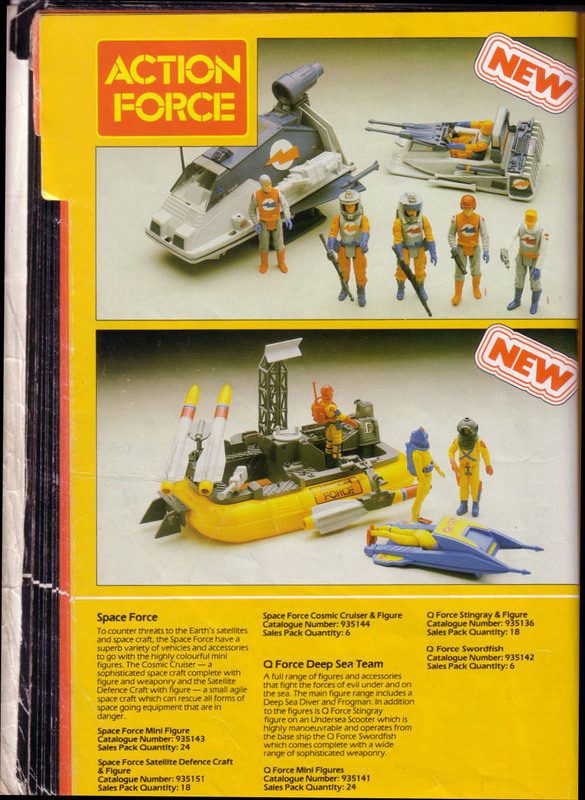 043) Had Palitoy continued to design and produce Action Force into 1985, would the range have continued to expand using the four teams and enemy, or would here have been additional elements introduced? 044) Clearly a lot of thought went into the range. 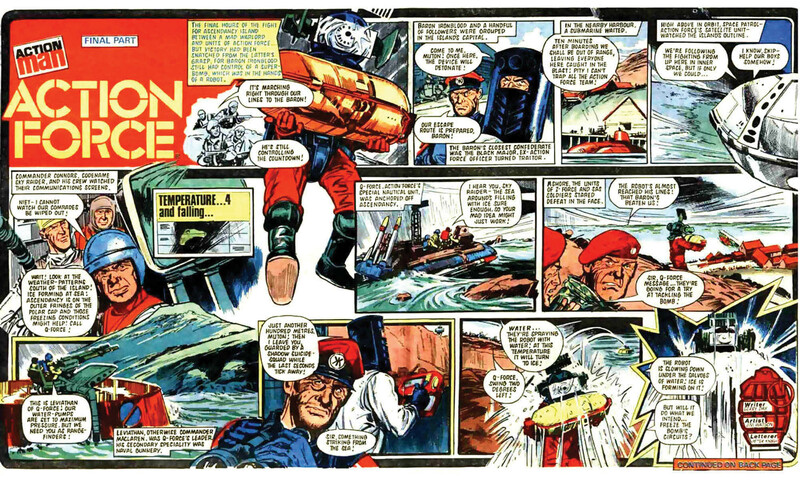 Was Action Force a labour of love, or just another job? 045) Are there any Action Force toys or figures that you dislike, or would like to have done differently? 046) What would you say is the pinnacle of your work? 047) What did you do after Palitoy closed? 048) Do you know who currently holds the copyrights to the Red Shadows and Action Force toys and characters? 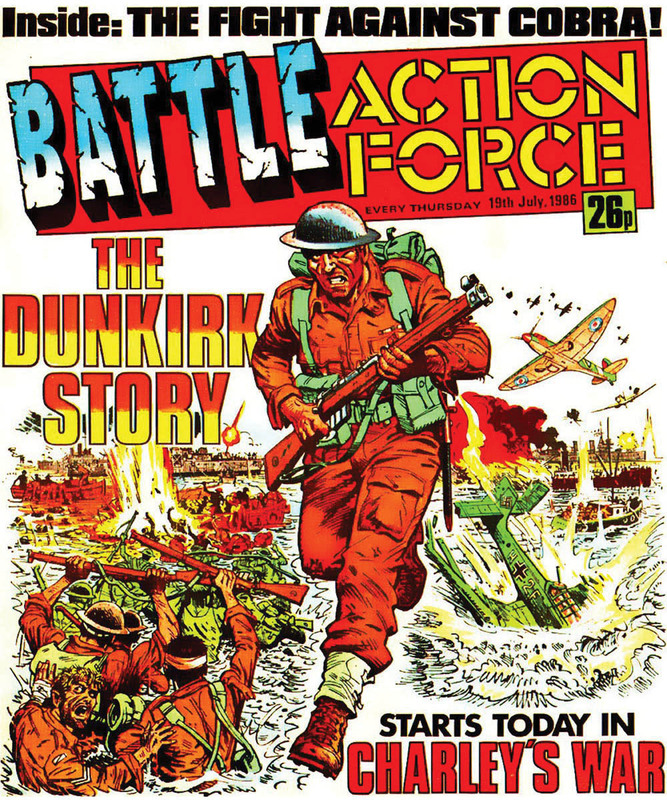 Do you know who currently holds the copyrights to the Battle Action Force comic strips? 049) If you had the means and the opportunity, would you like to create more Action Force and Red Shadow toys? 050) How did you find http://www.bloodforthebaron.com? 051) Is there anything you particularly like or dislike about the site, or think should be done differently? 052) Would you consider honouring us with an appearance at RORC4? 053) What was the story I missed at your talk regarding the strawberry smelling batch of Action man figures? 054) What was the inspiration for the Red Shadow helmet / face piece on the German stormtrooper head? 055) What are the origins of the letters Q & Z being chosen for the infantry & naval forces ? 056) Does the logo have any link to the Capt Zargon badge? 057) Who first originated the idea of shrinking down the most popular Action-man outfits & were there ever any plans to expand on that basic concept for a second year? 058) If Palitoy had of continued the line in which direction would you liked to of taken the figure & vehicle designs..for instance, would you of developed them into being even more fantastical/science fiction like creations? 059) What were Friday afternoons really like at the Palitoy factory? 060) Have you taken a look at the custom toys that are produced by adult collectors today and what do you think of this homage to the original range? 061) Did you take any of your favourite designs home after your time at Palitoy came to an end and what were they? Do you still have any of them to this day, to remind you of your work? 062) How do you feel about Action Force after 30 years? 063) Was there a plan to introduce an Action Force air force if the range had continued? 064) What is the proudest / fondest memory of your time working on Action Force? 065) Was the introduction of Hasbro figure and vehicle moulds to the series 2 range, a Palitoy Design Team decision, or the result of corporate pressure from Palitoy's parent? Would we have seen a higher level of unique designs if you'd had your way? 066) Mr Brechin, how did you first get involved with the toy industry & did you continue to work in the toy business after the Palitoy company closed down? 067) Is Red Laser a ninja? 068) Do you still consult on toy design and production? 069) If not, what would tempt you back? 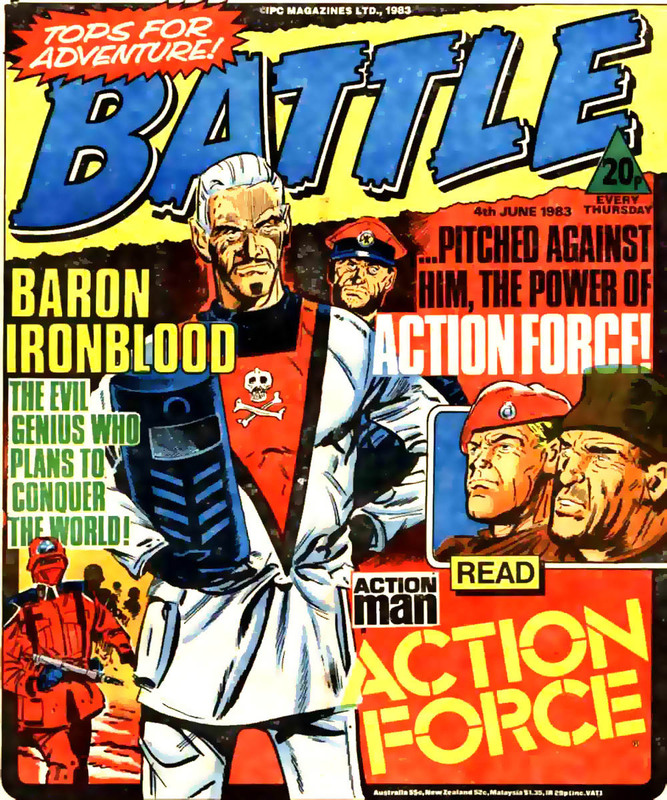 070) Was there a reason that Baron Ironblood's head is molded after the 12" Action Man head? Perhaps some revenge for the toy line being shrunk down in size? 071) Was Ned Kelly's helmet the inspiration for Baron Ironbloods mask & did you ever consider making his head sculpt a non removable helmet ? 072) A selection of Star Wars figures, weapons & vehicle parts were used not only to create the Action Force prototypes but also on the finished items...e.g. Baron Ironblood with Han Solo's blaster & the hatch of the Sea-lion... did you have to seek permission from Kenner for using them? 073) Did the Palitoy re-paints, of the Hasbro figures & vehicles (e.g. S.A.S.Panther), come from the same factories (& tooling's) that produced the American G.I.Joe toys? 074) What was the language used (or inspired by) in The Black Major's code-book & Enemy vehicle signage? 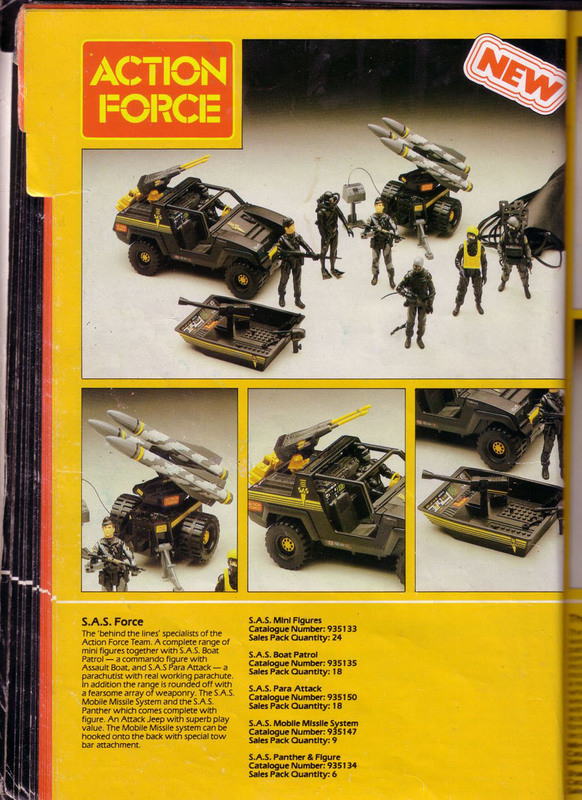 075) Was the majority of the design work, for Action Force, carried out 'in house' by Palitoy or was it mainly outsourced &, if so ,how closely did you work with these companies? 076) If Action-Man hadn't of been discontinued, would we of seen 12" versions of Action Force characters & uniforms? 077) Did Palitoy keep a close eye on the I.P.C. 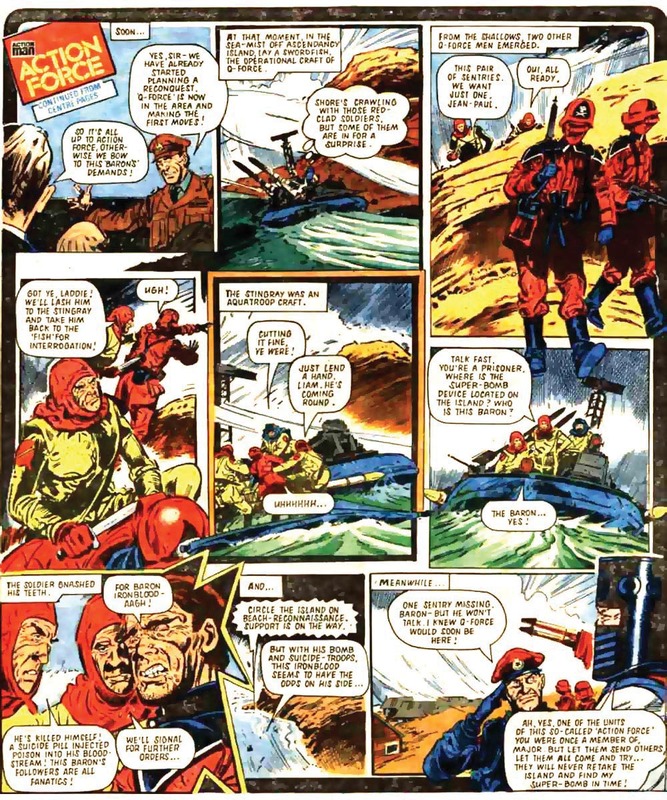 Action Force comic such as demanding story changes or suggesting story lines? 078) What were the design processes for individual Action Force figures...did you work from concept drawings & did the artists sculpt at a larger scale, for detail reasons, than the final product? 079) The head & weapons were superb reproductions of the Action-Man originals, were they direct copies reduced in size? 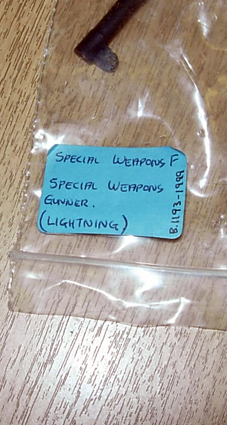 080) The Action-Man (& Action Force) 'Special Team' bullpup rifle's a pretty accurate copy of the real weapon. Did you have anything to do with creating this accessory & if so can you remember anything about it..such as if you would of had access to the real thing or would of worked from reference photographs? 081) Did you guys, in Palitoy's design dept, feel in any way constrained by having to create many Action Force charactors with the limited library of body sculpts & large use of repaints involved? 082) A lot of Action-Man collectors seem to blame Action Force's success for the demise of their hero, what are your feelings towards the subject? 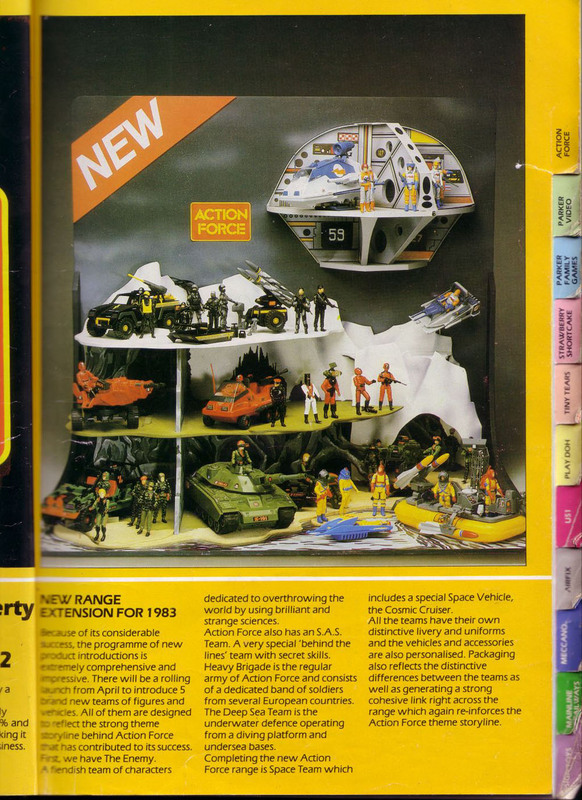 083) Were you & the Palitoy company caught by surprise at just how successful, & large a slice of the toy market, Action Force achieved in it's first year? 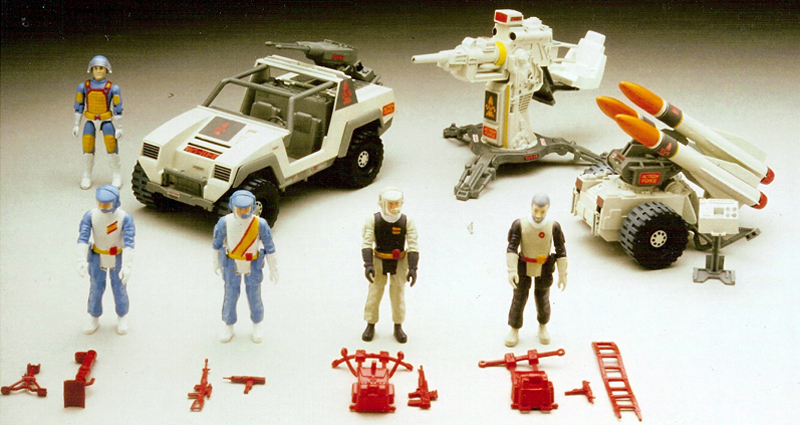 084) Before the plug was pulled, how far advanced were the companies plans for 1985's Action Force range? Were any designs finalised, or concept models, produced for the ranges continuation? 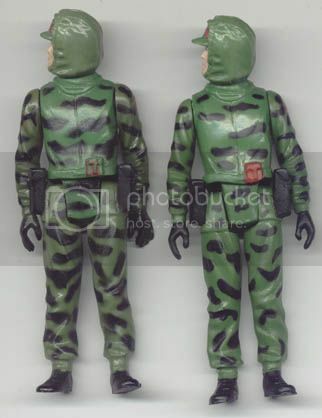 085) In the past Hasbro took a couple of Palitoys design innovations (Flock hair & gripping hands) to the Action-Man & used them for thier own G.I.Joe figures...how close was the working relationship between both companies & did this continue with Action Force in any way? 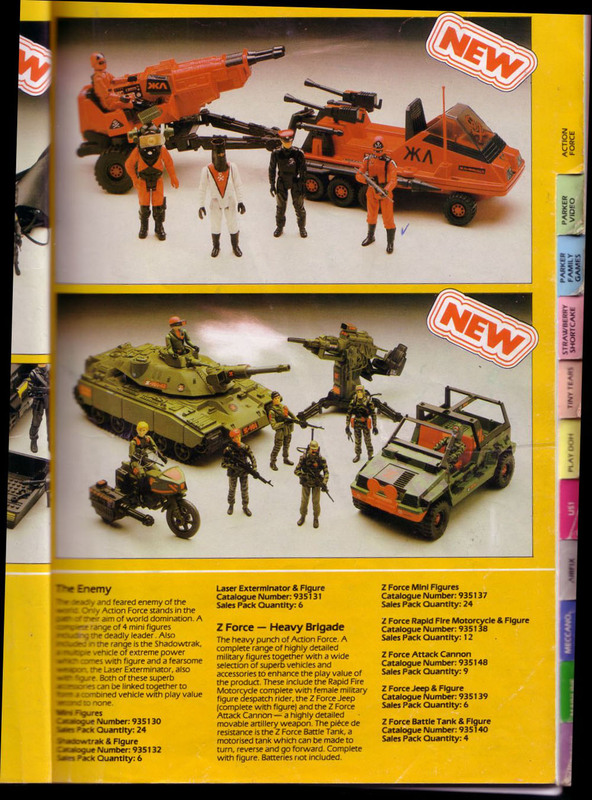 086) Did Hasbro send you any early 3 3/4" G.I.Joe toys or prototypes, before they were released @ retail, for evaluation by Palitoy for incorporation into the Action Force line? 087) In the early 80's the famous Airfix brand was part of the Palitoy company, were you involved with the classic model company in any way? 088) What's your personal favorite toy, of any kind, you've worked on in your career? 089) How did you and other colleagues feel when Hasbro took over and pretty much ended the original Action Force line? 090) Where would BFTB stand on creating an exclusive Palitoy re-release figures for it's own conventions? 091) I think Action Man came with four different hair colours, Black, Brown, Blonde and Red/Auburn, why did almost all of the Action Force Figures have black hair? 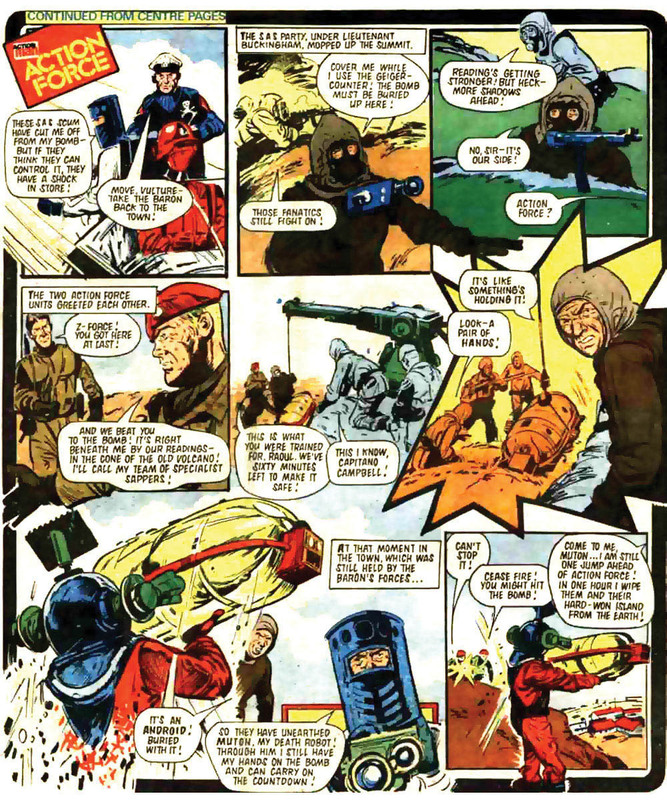 093) Did the writers of the original Battle Action Force promo story know about Special Weapons Force? 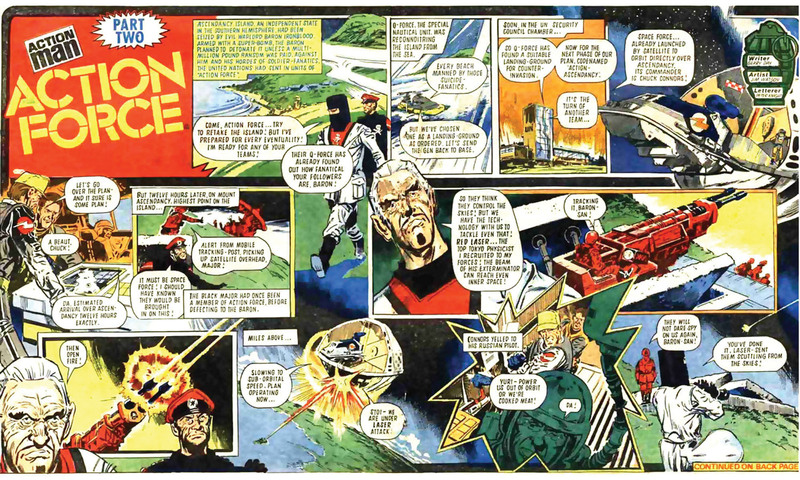 All of the vehicle designs used in that strip are based upon the prototypes seen in the 1983 catalogue. 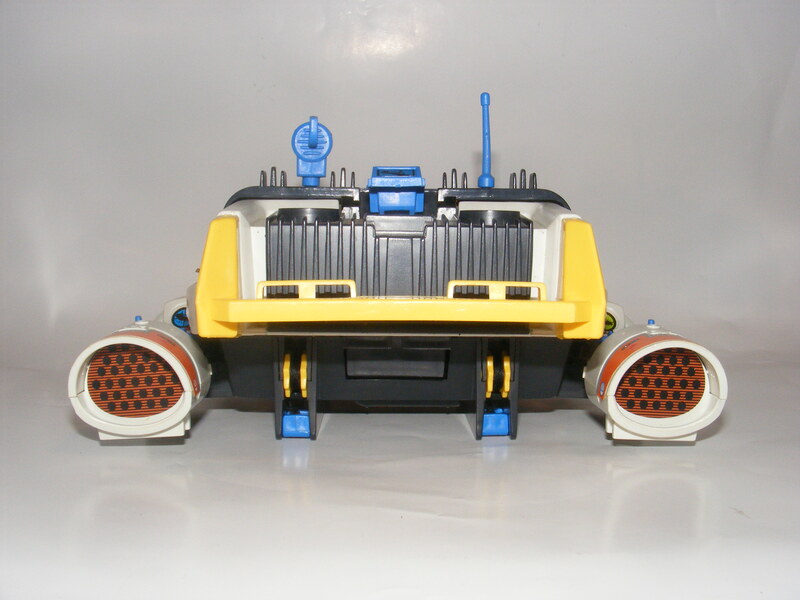 The Cosmic Cruiser and Swordfish are the same as the catalogue prototypes, not to mention the Space Force base! Clearly the artist worked from these photos, is there a good chance that the SWF photos were also included in their source material? The backdrops would indicate that these photos were taken at the same time. That is too much of a coincidence! Could it be that The Baron stole his technology from Special Weapons Force? Did Boffin create the Laser Exterminator? 094) I know a lot of research was carried out to make some of the Action-Man uniforms & vehicles as authentic as possible, what kind of research was involved in creating the Action Force kit? 095) The prototype figures of & featured removeable helmet designs, yet the finished items were one piece items..was this change due technical or price reasons? 096) Was any kind of visual & other types of reference material (of Action Force toys) would of been given to the artists & writers of the comic to use, would of they received actual toys or just pictures, blueprints & charactor file cards to work from? 097) Also did any of the creative team who were working on the comics ever suggest ideas for new characters & vehicles that could of been produced as toys? 098) Was any market research done for Action Force, such as asking children what they would like to see & would play with? 099) Who had final say upon the finished designs & items that did or didn't get produced? 100) A lot of the larger (& higher price range) playsets & vehicles (Z Force H.Q. & A.T.C.) 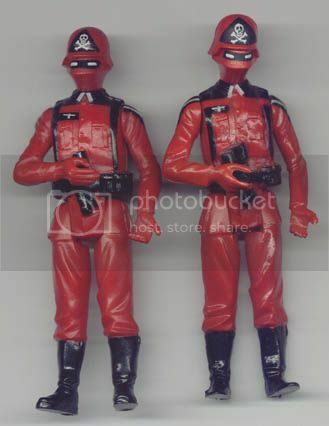 were repainted Hasbro products... did Palitoy ever have any similer ideas, or concepts, for that were abandoned (or had to be scaled down) due to high projected production costs & recommended retail price? 102) Were there ever any talks of creating an animated cartoon of Action Force? 103) Was the & figure based on a particular picture/soldier? 104) The figure looks as if it's modeled on some of the plates/pictures in the Osprey Men At Arms series, particularly their first c. 1981 book on the SAS. Were any other figures inspired by the Osprey reference books apart from ? Or other sources such as the artwork for the plates in the Marshall Cavendish "Falklands War" volume? 105) Geoff Campion used Tony Geraghty's 'This Is the SAS' as a reference source for some of his artwork, not least his "Super Soldiers of the SAS" booklet, also the Osprey Men At Arms series. Did he find these independently or were they recommended by you and your team? 106) The back stories of many Action Force and Enemy characters, and many of the Battle Action Force stories, derived inspiration from the secret wars and anti-terrorist operations - and, of course, the terrorist movements themselves - of the 1960s and 1970s. How much influence did such contemporary history have on the design process for the characters? 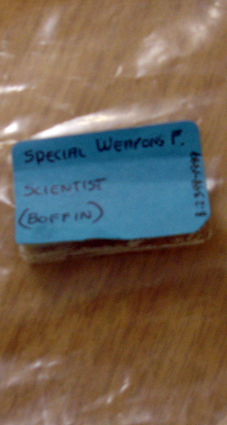 107) Was Boffin of Special Weapons Force based on yourself? 108) Was Boffin somehow an inspiration for Baron Ironblood? 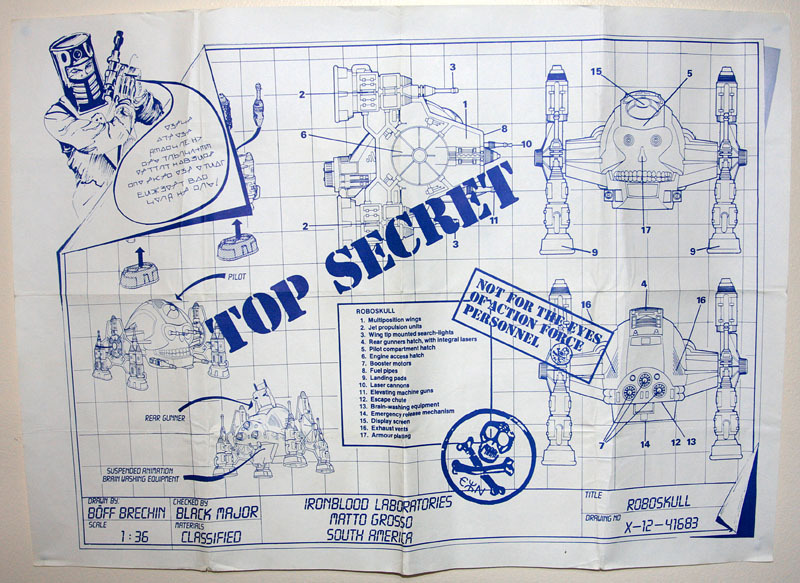 After all, you are name-checked in the special edition of the Roboskull blueprints at Matto Grosso Laboratories as "Boff"
109) The 1983 catalogue had many interesting prototypes, particularly for Space Force. 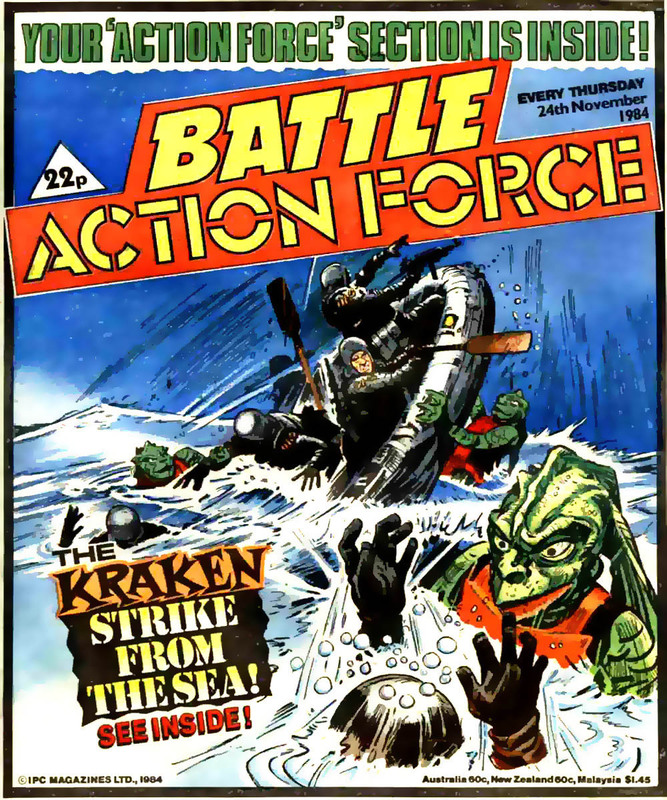 Some of the Space Force figures appear on an early Battle Action Force 'competition' cover. How close did they, the Space Force base and the novel Cosmic Cruiser get to the production line? 110)This two handed 'weapon at the ready' position is synonymous with Action Force figures, do you remember how or why this pose was chosen? 111) Was it ever prototyped or generally considered to have greater articulation built into the series 1 range? 112) Thanks for all your hard work on these toys. I would like to know why out of all the Z-Force team members why was Doc's age set at 45 on his filecard, making him the oldest member on the team.? 113) Was Scout ever considered as a tank driver rather then a minesweeper? 114) I would really like to know more about the Force that Dave Tree discovered. I was wondering what they were going to be called? 115) We all know that 's long umbilical cord fits nicely into a hole on the Triad Fighter but I keep getting a nagging feeling that , with the hose socket & the crazy amount of extra accessories he's got, was originally intended to be the Triad's pilot. Is this right?